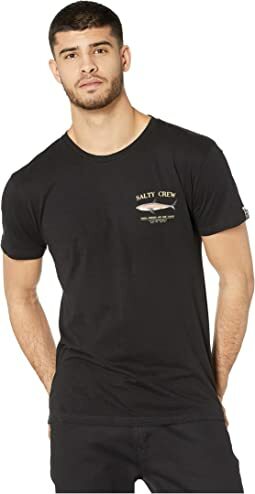 Salty Crew® began as a simple ode to traditional surf culture, a simpler time when man didn't have modern tools to tackle the challenges of the world or the waves. It was a time when people had to seek thrills and takes risks on their own terms. Salty Crew pays homage to the hard-working people of yore, the explorers of the unknown, and those who pushed their limits - not for fame, but for self-satisfaction. Salty Crew embraces modern fabrics and technologies to provides customers with attractive surf-inspired apparel. Using premium ring-spun cotton and UPF fabrication, Salty Crew has created a range of men's clothing that draws inspiration from the sea. Their casual T-shirts, hats, and jackets feature a modern aesthetic with matching screenprint designs, perfect for a day at the pier. 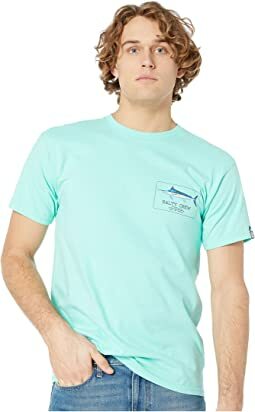 Technical shirts protect against harmful sun rays and feature anti-microbial properties, making it a breeze to relax on the beach or in the water. 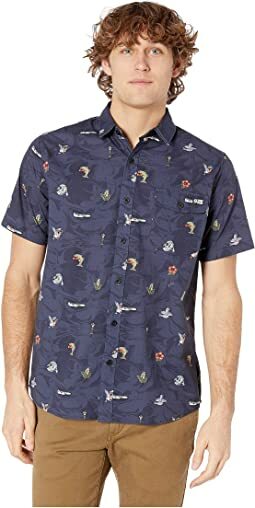 Don't forget their technical boardshorts either, which feature four-way stretch - ideal for crushing wave after wave on your board. Find refuge in the sea and continue yearning for new thrills. Keep it salty with Salty Crew.